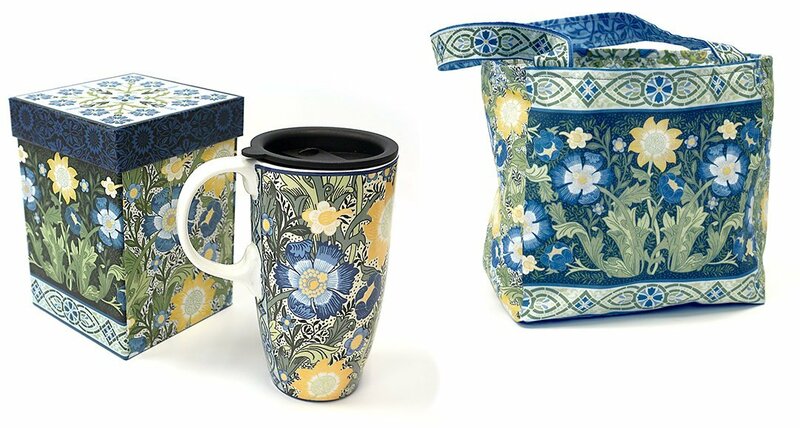 Dear William Travel Mug with Lunch-Tote Panel by Michele Hill Travel mug comes in a gift box with a 1/2yd. fabric panel for making a lunch tote. Tote approx. 7�W x 7�H x 4�D.